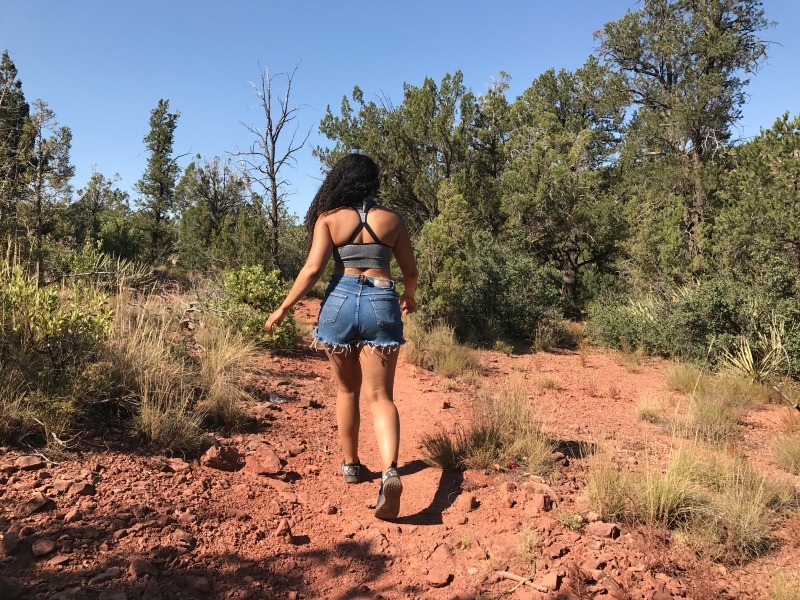 If you’ve been following me on Instagram then you know I was in Sedona during the 4th of July. I’m so excited to finally be able to recap my trip with you guys here on Lil Miss JB Style. 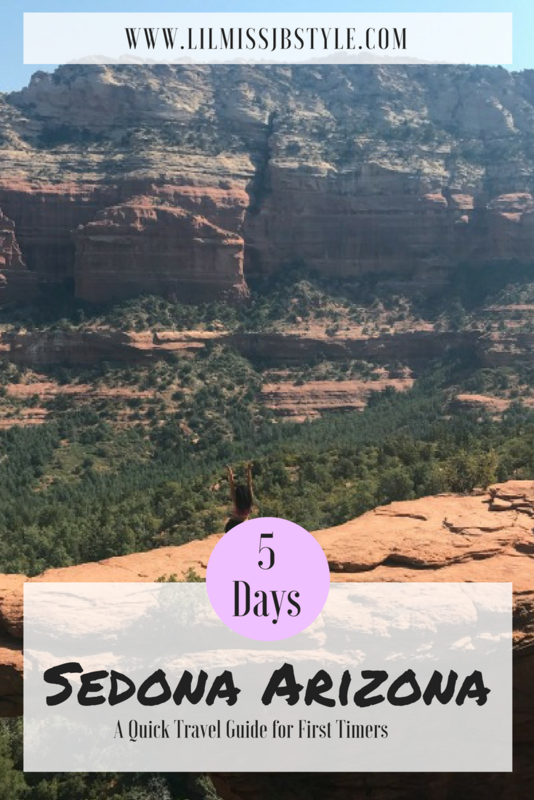 I created a mini Sedona travel guide just for you for your visit so you have the inside scoop on what to do, hike, eat and even some easy day trips you can make. So keep scrolling for all the details as well as my visual diary! And if you’ve been before be sure to share your must do list in the comments below! 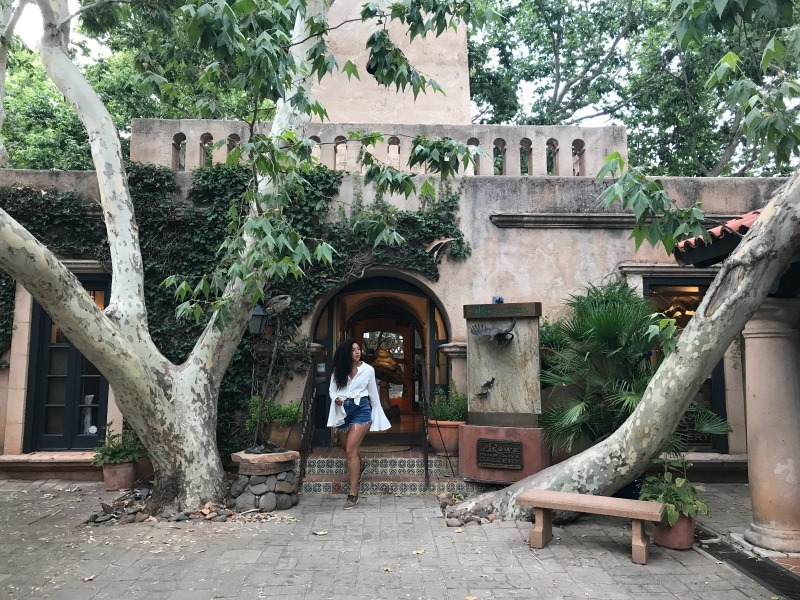 Tlaquepaque Arts and Crafts Village is an old world style shopping plaza that has handmade goods and unique restaurants. Make your way there a Sunday evening to enjoy the flamenco music and a sweet treat from the cafe in the square. Palatki Ruins require a reservation, call , but is an easy walk to see some historically amazing ruins in the mountains. What was more mind blowing than the ruins themselves was the hundred year old graffiti from settlers who’d discovered Palatki. Buggy Rentals are a fun way to see some amazing views without having to do too much hiking. Some trails aren’t for the faint of heart, but definitely make for an experience to remember. 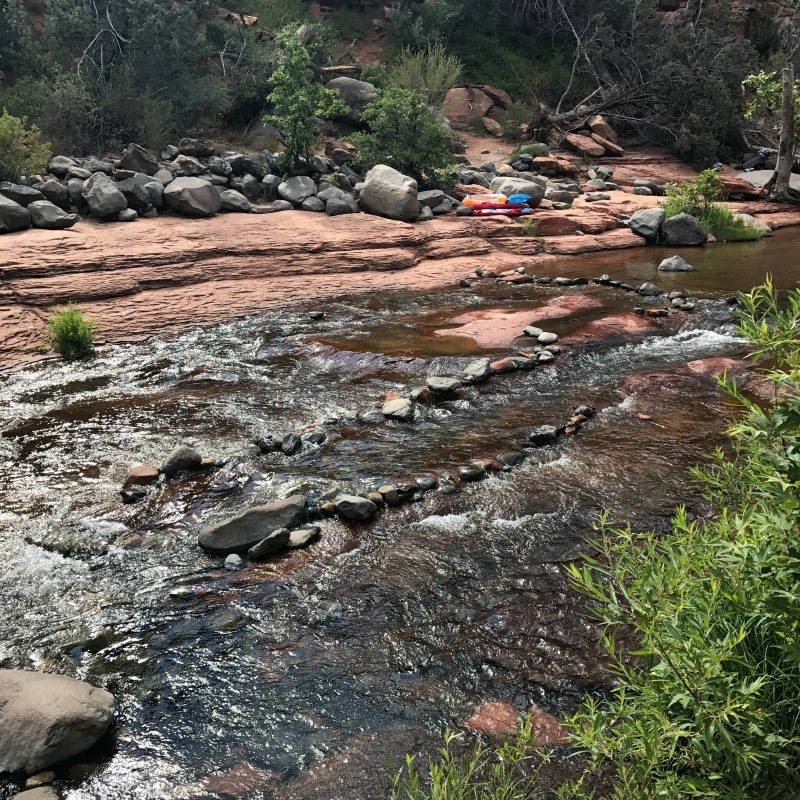 Slide Rock can be an oasis during the hot summer months in Sedona. It’s best to go earlier to avoid the crowds and truly enjoy the natural water slide made from the current. Be sure to bring some water shoes as the rocks along the shore can heat up quickly. 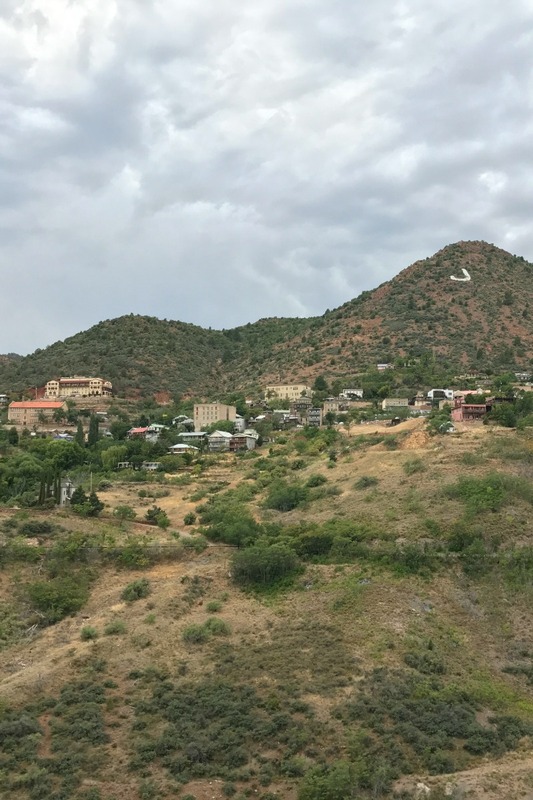 Jerome Ghost Town, a historic copper mining town, is a just a short ride away. Full of shopping, food and rising artists, it’s a great way to spend a morning or afternoon without expending too much energy. 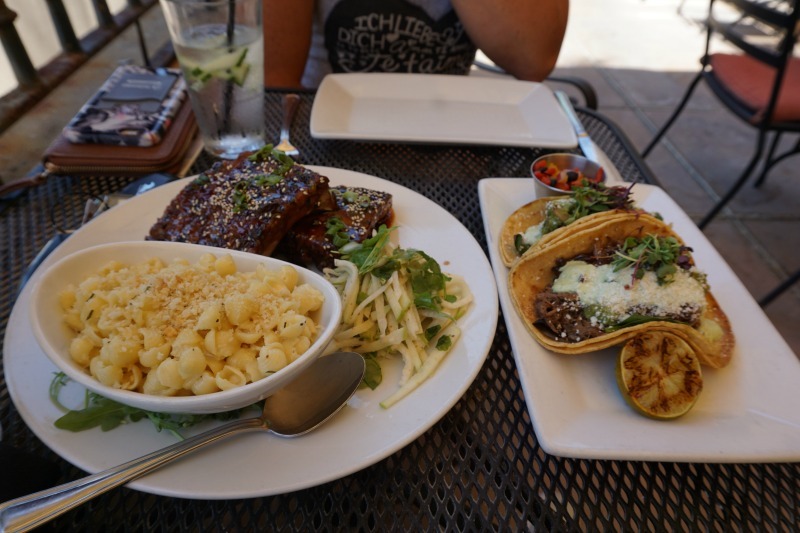 Elote Cafe offers mexican inspired cuisine so good, we went twice! The buffalo short ribs were perfectly cooked or if you’re in the mood to mix and match order a few starters to share. Dellepiane is a new burger joint in Sedona that did not disappoint. Their yucca fries melted in my mouth and provided options for even the pickiest eater. Indian Gardens Cafe and Market located in Oak Creek is the perfect pitstop to pick up gourmet style sandwiches for a steal. Their brie, fig & bacon sandwich was definitely my favorite. 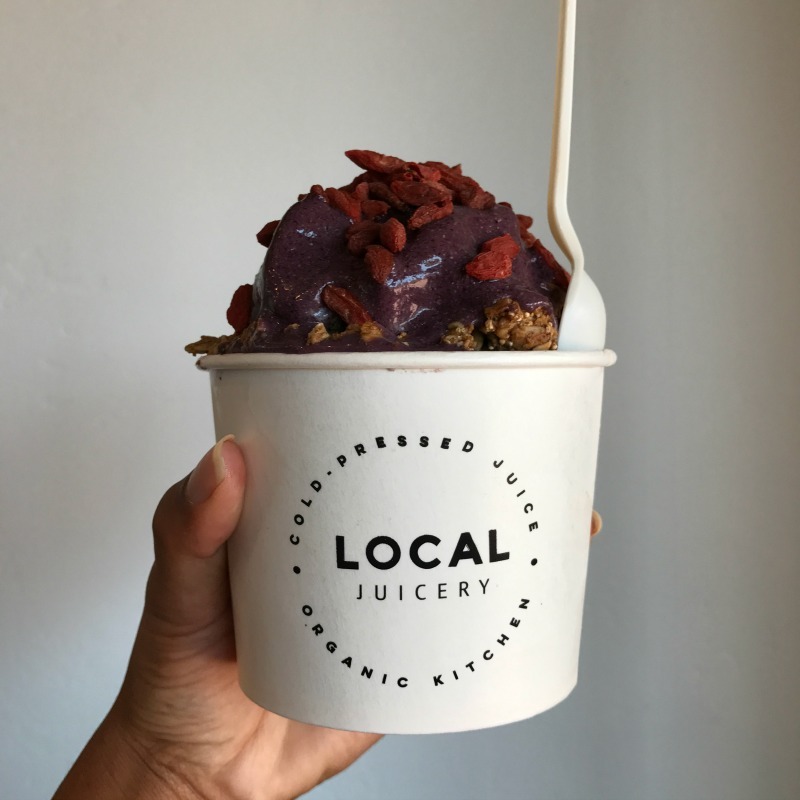 Local Juicery not only has fresh pressed juices and smoothies, but also chia seed pudding, avocado pudding and other quick vegan options. 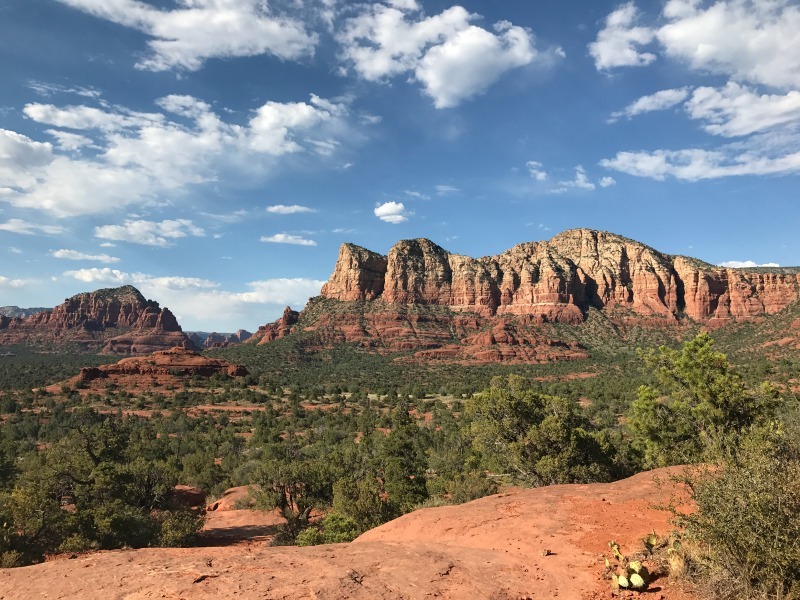 Airport Loop is an easy 3 mile trail that circles the airport with impressive views of the various rocks and formations in Sedona ending at the Airport Vortex. 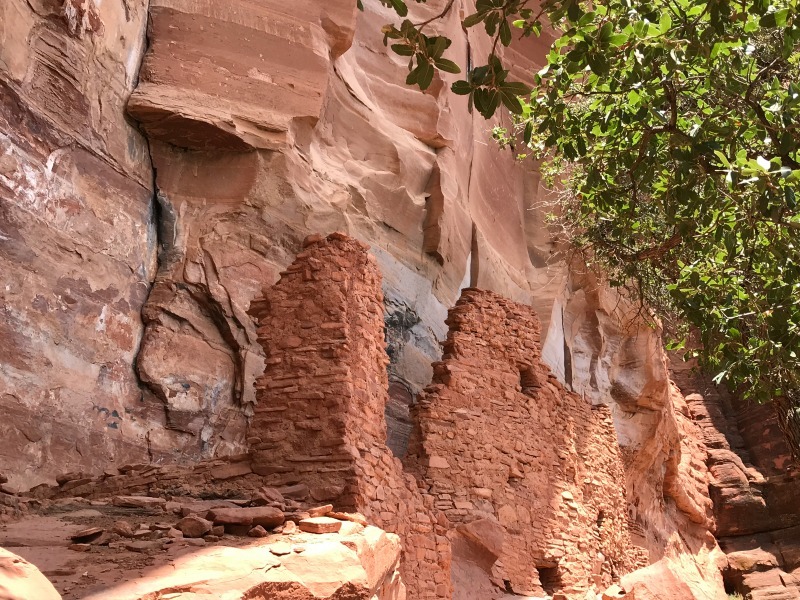 Bell Rock has two different trails, one that heads to the rock itself and one that circles both Bell Rock and Courthouse Butte. If you’re looking for more of a challenge definitely head up to Bell Rock and feel the vortex’s energy. Cathedral Rock, also a vortex, is a more strenuous hike for only being 1 mile. Most of it is a steep uphill, but the the work is very rewarding. 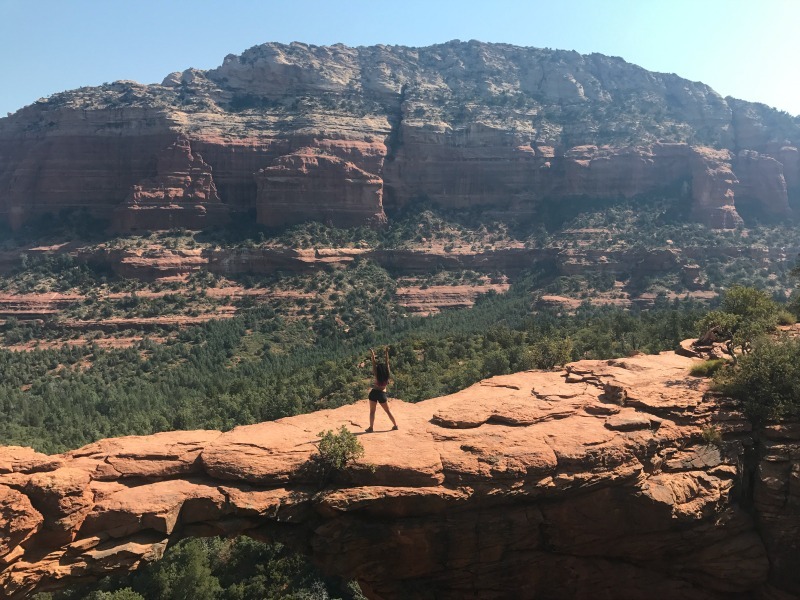 Devil’s Bridge is one of the more iconic trails in Sedona. It’s over 3 miles with great view points ending in a scary yet awe-inspiring natural bridge. Boynton Canyon offers a spectacular view along with an amazing echoing experience. 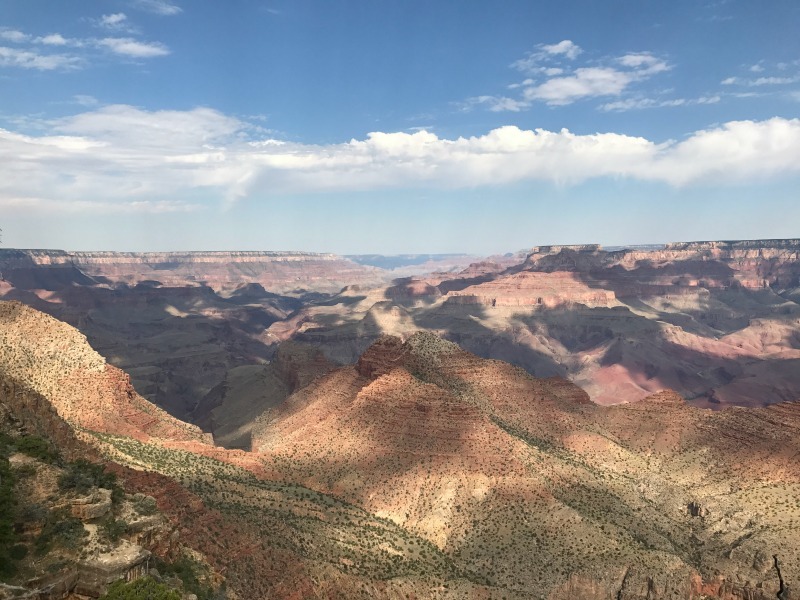 Though it is over 6 miles round trip, most of it is an easy walk until the last quarter of a mile to the view of the canyon. Phoenix. Get an early start and head to Old Scotsdale for a delicious breakfast at the Breakfast club and exploring the city. Then grab a healthy lunch from Herbox before going to the Botanic Garden. 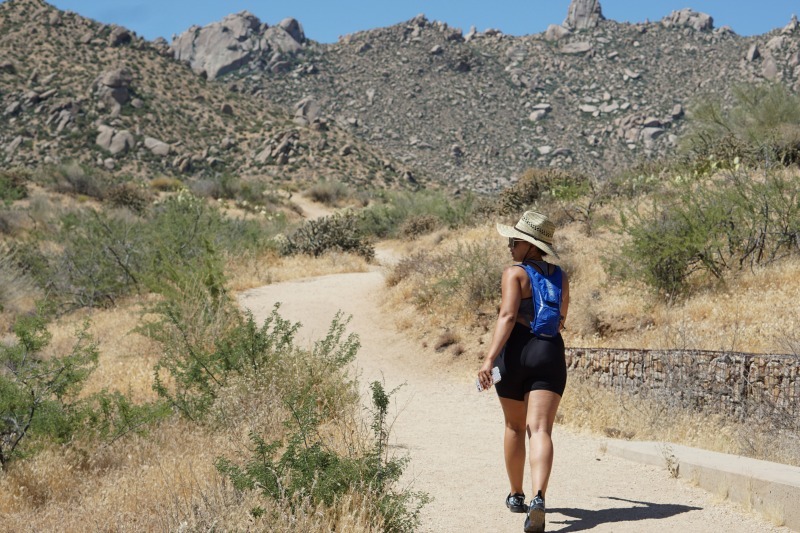 For those interested in a challenge make some time to hike either Tom’s Thumb or Piestewa Summit Trail at Phoenix Mountain Perserves. The Grand Canyon. The South rim is the closest to Sedona and since I’d never been before, this was on the must do list. If you get there earlier in the day start at the Watch Tower then take advantage of the bus to see all the viewpoints on your way to the other side. Antelope Canyon & Horseshoe Bend. Though the drive is 3 hours one way, but it’s definitely worth the long ride. 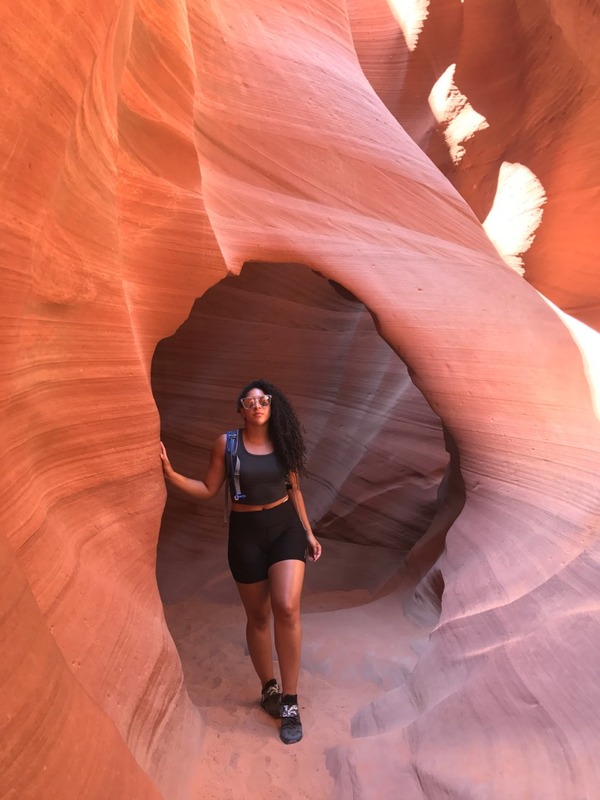 You can either take your chances and try to get a last minute tour to the Upper or Lower Anterlope Canyon upon your arrival or book ahead of time. The bumpy ride is a small price to pay for such amazing views. If you have time try to swing both an Upper and Lower tour, but be warned there will be a long wait and a lot of people for both. 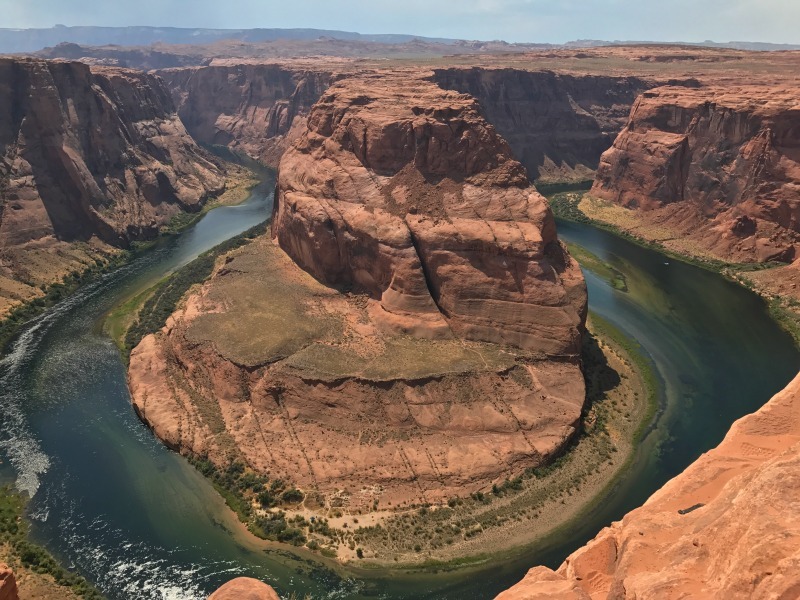 Then be sure to stop by Horseshoe Bend before you head back to Sedona! If you’re traveling during the heat of the summer months be sure to pack super breathable and functional clothes. Most of the stuff I packed were work out clothes since the goal of the trip was to hike until we dropped. Which we most definitely did. 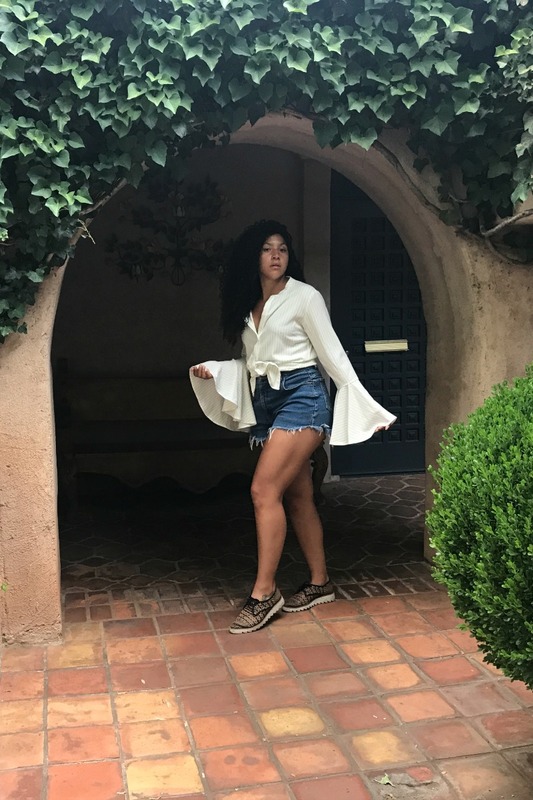 But be sure to bring breezy dresses, tops and skirts to wear when you grab dinner or check out some of the non-hiking activities I mentioned above! 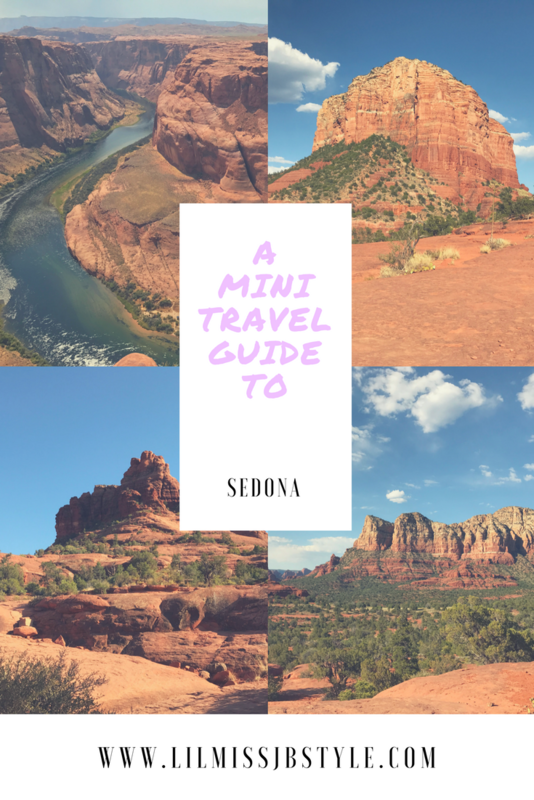 If you found this mini Sedona travel guide helpful be sure to share it.